This beautiful Sterling Silver ring by Thomas Sabo features two interlocking bands, symbolising the unbreakable bond of true love. 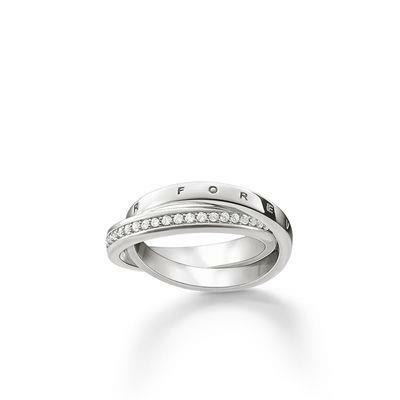 One band is encrusted in white Cubic Zirconia Crystal Pave, and the other is engraved with the words "together forever/ forever together". The perfect declaration of love.